Capping off the first full week after a truly excellent E3, we’ve got the first Fan Art Friday in a little while. Remember, you can always submit your own fan art to fanart@revergelabs.com for possible inclusion in future entries! 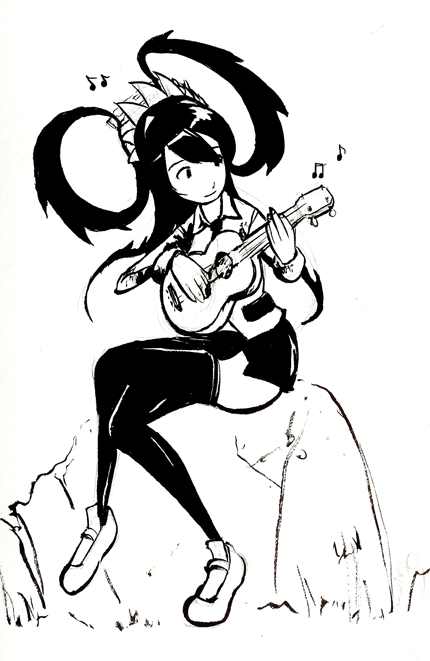 This cute sketch by Ashwara shows Filia and Samson jamming on ukelele and harmonica. 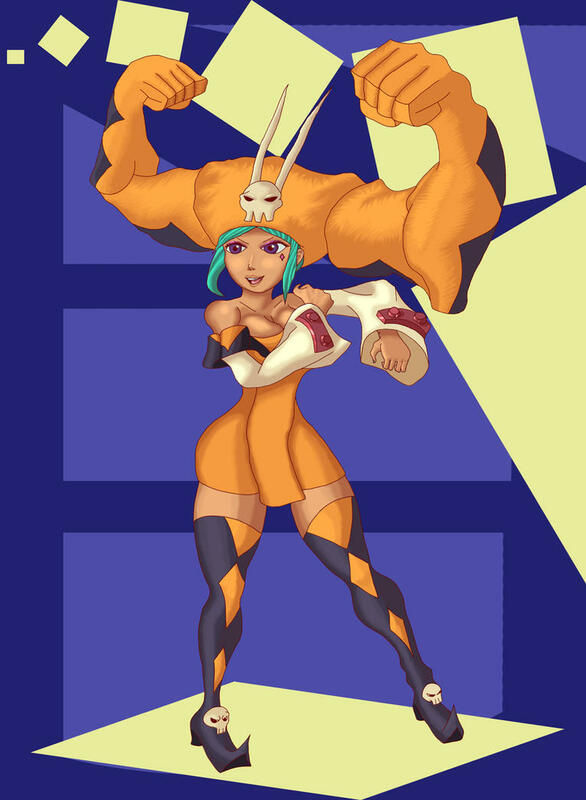 Cerebella and Vice-Versa show some muscle in this painting by M-Han. Now that Peacock has been revealed, we’re seeing a lot of great new fan art of her, like this piece by Patj15! This picture of our newly-teased character arrived from A-Bad-Idea in the Fanart e-mail address! You’ll have to forgive me for taking creative liberties with her, erm, weapon. I don’t really know what that thing can do (nor should anyone at this point in time!). You did great work on this, really awesome! thanks for featuring my illustration! I can’t wait to see more of Skullgirls. Thank you for adding me in this week’s feature, Reverge. It’s quite an honor. 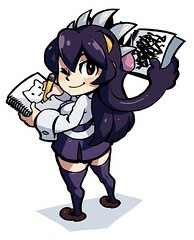 Good luck on the Skullgirls project. I wanna see some of the other players get fan art!